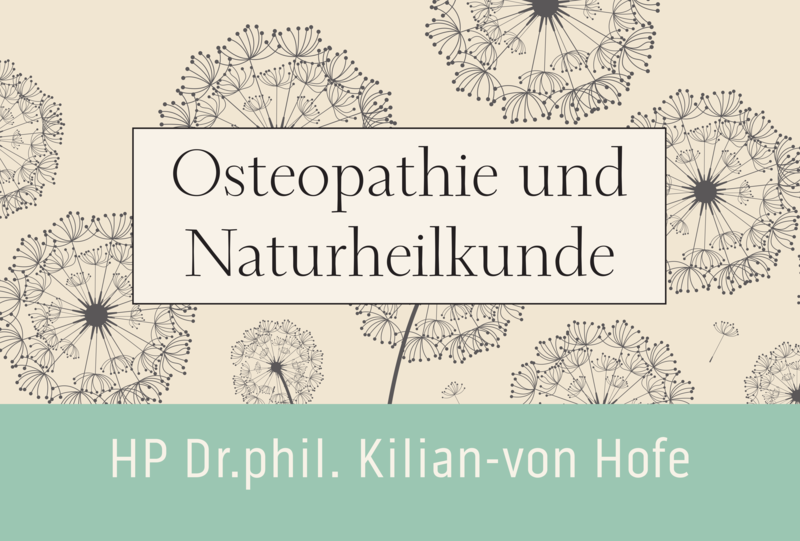 I am an Osteopath and Naturopath situated in the Berlin-Charlottenburg, currently working in my private practice, at Friedbergstraße 35. There is free parking outside the practice. And it’s near U-Bahn Wilmersdorfer Straße or S-Bahn Charlottenburg and many buses. One session will be 90 € independet of the time it takes. One treatment takes approx 50 min, at your first visit it might take 60 min. Various health insurances are supporting the osteopathic sessions. Please contact your health insurance in order to receive a refund. You will find a list of German health insurances which pay a refund here: Osteo Kompass. You will find further information about various complaints at the end of my articles in English. Please don’t hesitate to contact me. Looking foreward to it! HP /OS Dr. phil. Katrin Kilian-von Hofe.